Dr. Samir Pancholi and the Launching Las Vegas Committee are proud to announce the winner of the third annual Launching Las Vegas award, Wedspire. Launching Las Vegas was created in 2015 to celebrate those who work hard to build up Vegas and support our community. The annual contest has awarded $2,500 to local businesses since its inception. Hundreds of votes were cast as community members came out in full force to recognize their favorite of three nominated startup companies: Wedspire, Axiom Cyber Solutions, and Fuelixer. All companies were chosen for their dedication and contributions to the Las Vegas entrepreneurial community—and they epitomize the hard work and passion Las Vegans are known for. Axiom Cyber Solutions was awarded second place and a $250 cash prize. Axiom Cyber Solutions is a Las Vegas cyber security company focused on providing holistic, enterprise-class cyber security solutions to small-to-medium businesses. They’re dedicated to protecting businesses most at-risk of attack by providing a firewall backed by the SecureAmerica Threat Defense Platform, antivirus, and Endpoint Detection and Response for a low monthly subscription cost. About Dr. Pancholi & Launching Las Vegas: Dr. Samir Pancholi is a Las Vegas-based cosmetic surgeon and owner and director of a thriving practice. As a local business owner himself, Dr. Pancholi understands the challenges and rewards of starting your own company—and he created the annual Launching Las Vegas award in 2015 to celebrate, honor, and support fellow entrepreneurs and the Las Vegas business community as it expands. Visit drpancholi.com or call 702.363.0240 to learn more about Launching Las Vegas. Dr. Pancholi is available for interview upon request. For the third year in a row, the Launching Las Vegas award is celebrating Vegas-based startup companies—and voting for the 2017 contest is officially open for public voting. Launching Las Vegas, was created to honor the hard work local startups and entrepreneurs devote to helping Vegas shine as a hub for business. Axiom Cyber Solutions is honored to have been nominated along with two other Las Vegas start-ups for the third annual award. 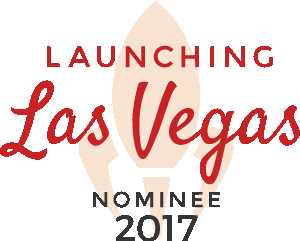 The winner of the 2017 Launching Las Vegas award will be chosen via an online voting system, Tuesday, October 17, 2017 through Thursday, November 2nd, 2017. Users will be able to vote for their favorite startup company once per day through the duration of the contest. Do you have a firewall at your business? Did you know that your firewall was obsolete the day you installed it? 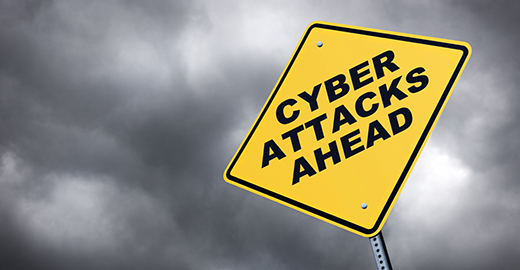 A startling statement to many… but unless you have an expert managing your security updates on a daily basis, your business is not protected against today’s threats. Think of your firewall like your antivirus. If you install it and just leave it running without updating the definitions, you are vulnerable to any new threats. Cyber-criminals are constantly evolving and finding new ways to exploit vulnerabilities such as default username/password combinations, known security holes, and outdated security definitions. And when a new security hole is announced to the world, the bad guys race to exploit the vulnerability before organizations install updates and unfortunately, major vendors keep discovering and patching serious vulnerabilities. Firewall management is time-intensive and requires security expertise. Firewall patches are not easy to install and require a backup in case the patch fails. Plus most firewalls require a reboot of the devices which means the business is taken offline during the update. Given these difficulties, many businesses schedule quarterly or less updates for their firewalls which leave the business open to attack through known vulnerabilities for long periods of time. The absence of a firewall or an improperly configured firewall is a major factor in many data breaches. A robust firewall is the imperative first line of defense against intrusions and other threats for all business network. 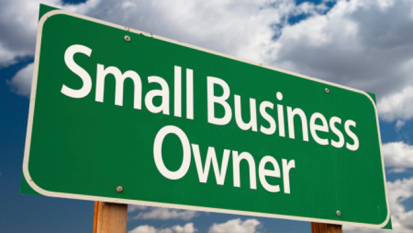 So how does a small business without an IT department much less a cyber-security expert get protected? The answer: A Managed Firewall. A Managed Firewall is a firewall that is monitored, managed, and kept up-to-date by cybersecurity experts. Axiom Cyber Solutions strives to make managed cybersecurity affordable to small businesses that may not have a large IT budget. Starting at just $199 per month, with no long term obligation, Axiom Cyber Solutions provides a fully configured enterprise class next generation firewall (NGFW) that is plug & play to the business and begins to monitor, manage, and update the firewall as soon as it comes online. Let our cybersecurity experts secure your business against today’s threats and those of tomorrow.